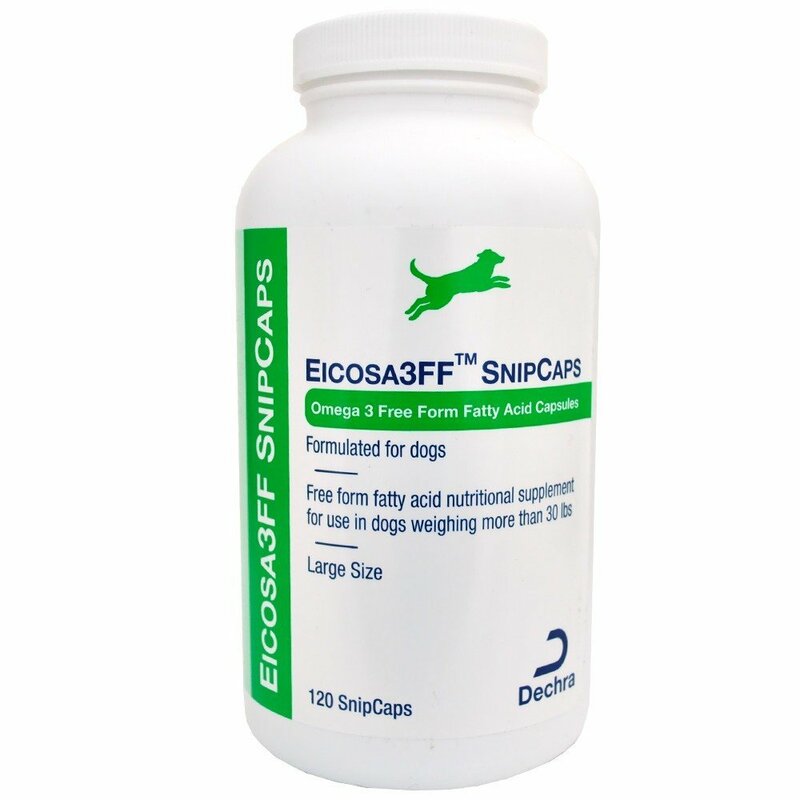 Free fatty acid nutritional supplement for pets. 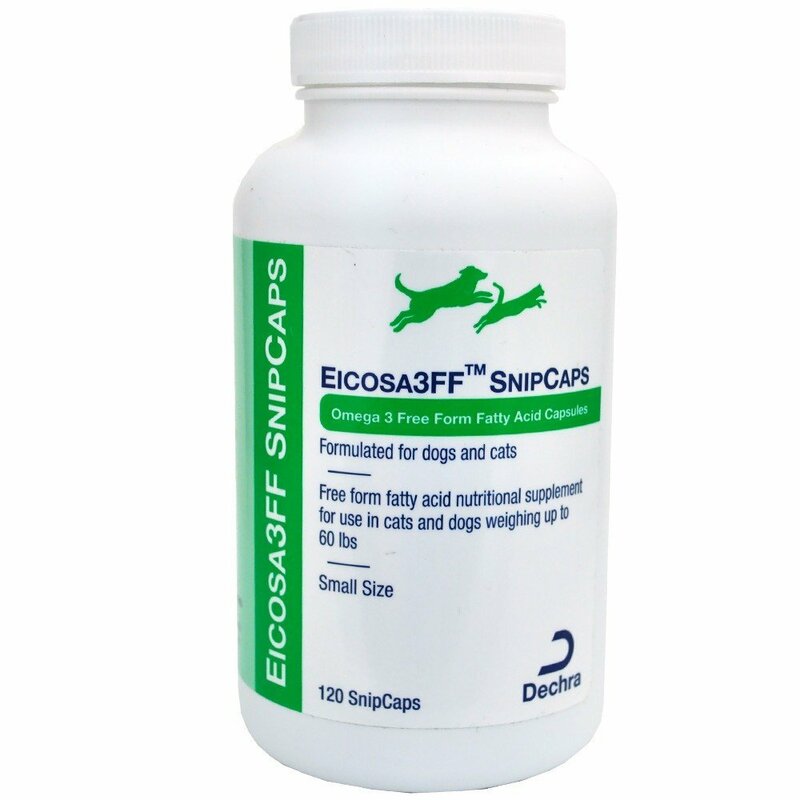 Recommended to aid the immune system and joint and skin health. 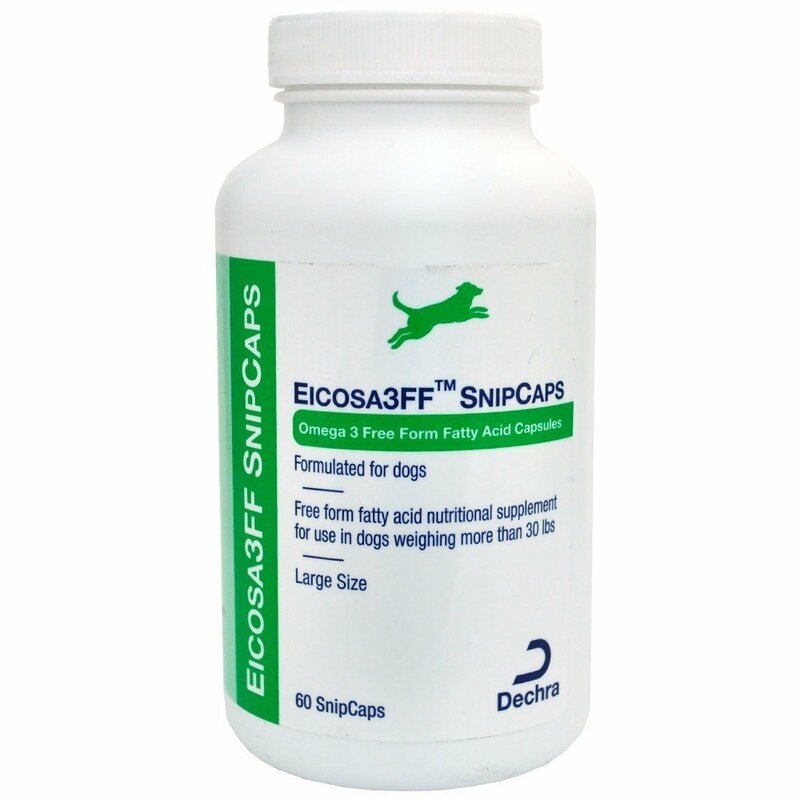 Eicosa3FF SnipCaps provide a concentrated source of beneficial Omega-3 Fatty Acids in a free fatty acid form.